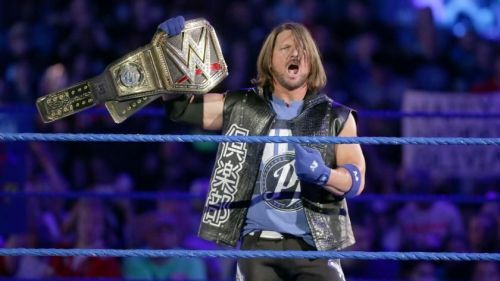 AJ Styles has been phenomenal wherever he has been. For the most part of the last decade, TNA was the biggest competition that the WWE had. Their popularity grew to the point where they even attempted to move to Monday nights to compete directly with Raw. And although the company has suffered a mighty fall from grace since then, their success in the past decade cannot be questioned. Perhaps their biggest achievement in wrestling has been producing some of the biggest stars in wrestling over the past decade. This Sunday at Hell in a Cell when Samoa Joe challenges AJ Styles for the WWE Championship, it will be a proud moment for longtime TNA fans who have seen both the wrestlers development from independent stars to world championship calibre talent. If Joe does manage to win the WWE Championship on Sunday, he will become the 8th wrestler to hold the World Championship in both WWE and TNA. So, on that note, let's take a look at the 7 men who have achieved this feat before him. *WWE's version of the ECW Championship has not been considered as a World Championship. Angle list of achievements in wrestling run deep. 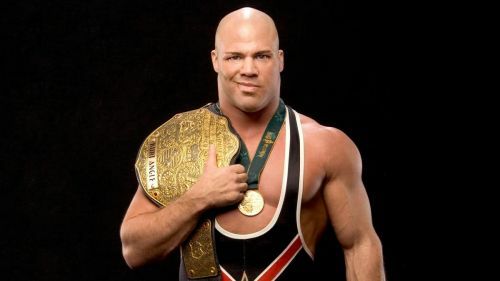 Professional Wrestling's only Olympic Gold medalist made an incredibly fast transition from amateur wrestling to pro wrestling and became the WWE Even Triple H described Angle as "probably the fastest guy I've ever seen pick this business up". He made his debut in the WWE in November 1998 after just months of training and became the WWE Champion in October 2000. Two years later, he would become just the fifth Grand Slam champion in WWE history. He had been only wrestling for a little over 4 years at that time. So it came as a huge surprise when the WWE granted Angle a release from his contract on August 25, 2006, due to health issues. But Angle would then make a surprisingly quick return to wrestling by signing with TNA and then debuting for them on October 19, not even two months since his release from the WWE. Here he would go on to become the most decorated world champion in the history of the company, winning the top championship of the company on 6 occasions. He also held every active championship in TNA at one point of time.